In 3D computer graphics, 3D modeling is the process of developing a mathematical representation of any surface of an object in three dimensions via specialized software. The product is called a 3D model. Someone who works with 3D models may be referred to as a 3D artist. It can be displayed as a two-dimensional image through a process called 3D rendering or used in a computer simulation of physical phenomena. The model can also be physically created using 3D printing devices. 3D computer graphics or three-dimensional computer graphics, are graphics that use a three-dimensional representation of geometric data that is stored in the computer for the purposes of performing calculations and rendering 2D images. Such images may be stored for viewing later or displayed in real-time. 2D computer graphics is the computer-based generation of digital images—mostly from two-dimensional models and by techniques specific to them.The word may stand for the branch of computer science that comprises such techniques or for the models themselves. 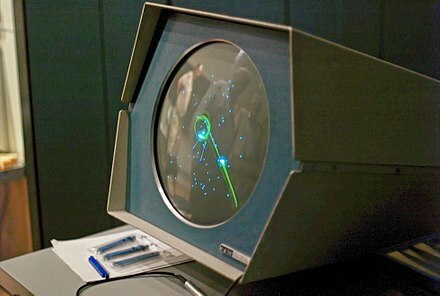 Further advances in computing led to greater advancements in interactive computer graphics. In 1959, the TX-2 computer was developed at MIT's Lincoln Laboratory. The TX-2 integrated a number of new man-machine interfaces. A light pen could be used to draw sketches on the computer using Ivan Sutherland's revolutionary Sketchpad software. Using a light pen, Sketchpad allowed one to draw simple shapes on the computer screen, save them and even recall them later. The light pen itself had a small photoelectric cell in its tip. This cell emitted an electronic pulse whenever it was placed in front of a computer screen and the screen's electron gun fired directly at it. By simply timing the electronic pulse with the current location of the electron gun, it was easy to pinpoint exactly where the pen was on the screen at any given moment. Once that was determined, the computer could then draw a cursor at that location. Sutherland seemed to find the perfect solution for many of the graphics problems he faced. Even today, many standards of computer graphics interfaces got their start with this early Sketchpad program. One example of this is in drawing constraints. If one wants to draw a square for example, they do not have to worry about drawing four lines perfectly to form the edges of the box. One can simply specify that they want to draw a box, and then specify the location and size of the box. The software will then construct a perfect box, with the right dimensions and at the right location. Another example is that Sutherland's software modeled objects - not just a picture of objects. In other words, with a model of a car, one could change the size of the tires without affecting the rest of the car. It could stretch the body of car without deforming the tires. E. E. Zajac, a scientist at Bell Telephone Laboratory (BTL), created a film called "Simulation of a two-giro gravity attitude control system" in 1963. In this computer-generated film, Zajac showed how the attitude of a satellite could be altered as it orbits the Earth. He created the animation on an IBM 7090 mainframe computer. Also at BTL, Ken Knowlton, Frank Sinden and Michael Noll started working in the computer graphics field. Sinden created a film called Force, Mass and Motion illustrating Newton's laws of motion in operation. Around the same time, other scientists were creating computer graphics to illustrate their research. At Lawrence Radiation Laboratory, Nelson Max created the films Flow of a Viscous Fluid and Propagation of Shock Waves in a Solid Form. Boeing Aircraft created a film called Vibration of an Aircraft. In the field of realistic rendering, Japan's Osaka University developed the LINKS-1 Computer Graphics System, a supercomputer that used up to 257 Zilog Z8001 microprocessors, in 1982, for the purpose of rendering realistic 3D computer graphics. According to the Information Processing Society of Japan: "The core of 3D image rendering is calculating the luminance of each pixel making up a rendered surface from the given viewpoint, light source, and object position. The LINKS-1 system was developed to realize an image rendering methodology in which each pixel could be parallel processed independently using ray tracing. By developing a new software methodology specifically for high-speed image rendering, LINKS-1 was able to rapidly render highly realistic images. It was used to create the world's first 3D planetarium-like video of the entire heavens that was made completely with computer graphics. The video was presented at the Fujitsu pavilion at the 1985 International Exposition in Tsukuba." The LINKS-1 was the world's most powerful computer, as of 1984. Also in the field of realistic rendering, the general rendering equation of David Immel and James Kajiya was developed in 1986 - an important step towards implementing global illumination, which is necessary to pursue photorealism in computer graphics. The 1980s is also called the golden era of videogames; millions-selling systems from Atari, Nintendo and Sega, among other companies, exposed computer graphics for the first time to a new, young, and impressionable audience - as did MS-DOS-based personal computers, Apple IIs and Macs, and Amigas, which also allowed users to program their own games if skilled enough. In the arcades, advances were made in commercial, real-time 3D graphics. In 1988, the first dedicated real-time 3D graphics boards were introduced in arcades, with the Namco System 21  and Taito Air System. This innovation would be the precursor of the later home graphics processing unit or GPU, a technology where a separate and very powerful chip is used in parallel processing with a CPU to optimize graphics. The field began to see the first rendered graphics that could truly pass as photorealistic to the untrained eye (though they could not yet do so with a trained CGI artist) and 3D graphics became far more popular in gaming, multimedia, and animation. At the end of the 1980s and the beginning of the nineties were created, in France, the very first computer graphics TV series: La Vie des bêtes by studio Mac Guff Ligne (1988), Les Fables Géométriques (1989-1991) by studio Fantôme, and Quarxs , the first HDTV computer graphics series by Maurice Benayoun and François Schuiten (studio Z-A production, 1990–1993). In video games, in 1992, Virtua Racing , running on the Sega Model 1 arcade system board, laid the foundations for fully 3D racing games and popularized real-time 3D polygonal graphics among a wider audience in the video game industry. The Sega Model 2 in 1993 and Sega Model 3 in 1996 subsequently pushed the boundaries of commercial, real-time 3D graphics. Back on the PC, Wolfenstein 3D , Doom and Quake , three of the first massively popular 3D first-person shooter games, were released by id Software to critical and popular acclaim during this decade using a rendering engine innovated[ vague ] primarily by John Carmack. The Sony Playstation, Sega Saturn, and Nintendo 64, among other consoles, sold in the millions and popularized 3D graphics for home gamers. Certain late-90's first-generation 3D titles became seen as influential in popularizing 3D graphics among console users, such as platform games Super Mario 64 and The Legend Of Zelda: Ocarina Of Time , and early 3D fighting games like Virtua Fighter , Battle Arena Toshinden , and Tekken . A screenshot from the videogame Killing Floor , built in Unreal Engine 2. Personal computers and console video games took a great graphical leap forward in the 2000s, becoming able to display graphics in real time computing that had previously only been possible pre-rendered and/or on business-level hardware. The continued rise and increasing sophistication of the graphics processing unit were crucial to this decade, and 3D rendering capabilities became a standard feature as 3D-graphics GPUs became considered a necessity for desktop computer makers to offer. The Nvidia GeForce line of graphics cards dominated the market in the early decade with occasional significant competing presence from ATI. As the decade progressed, even low-end machines usually contained a 3D-capable GPU of some kind as Nvidia and AMD both introduced low-priced chipsets and continued to dominate the market. Shaders which had been introduced in the 1980s to perform specialized processing on the GPU would by the end of the decade become supported on most consumer hardware, speeding up graphics considerably and allowing for greatly improved texture and shading in computer graphics via the widespread adoption of normal mapping, bump mapping, and a variety of other techniques allowing the simulation of a great amount of detail. 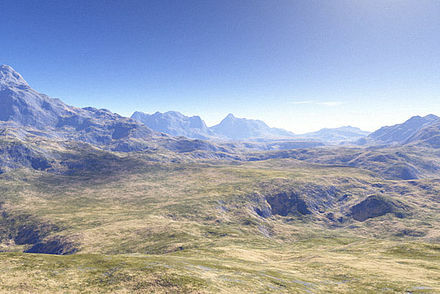 Computer graphics used in films and video games gradually began to be realistic to the point of entering the uncanny valley. CGI movies proliferated, with traditional animated cartoon films like Ice Age and Madagascar as well as numerous Pixar offerings like Finding Nemo dominating the box office in this field. The Final Fantasy: The Spirits Within , released in 2001, was the first fully computer-generated feature film to use photorealistic CGI characters and be fully made with motion capture. The film was not a box-office success, however. Some commentators have suggested this may be partly because the lead CGI characters had facial features which fell into the "uncanny valley". Other animated films like The Polar Express drew attention at this time as well. Star Wars also resurfaced with its prequel trilogy and the effects continued to set a bar for CGI in film. 2D computer graphics are the computer-based generation of digital images —mostly from models, such as digital image, and by techniques specific to them. Vector graphics formats are complementary to raster graphics. Raster graphics is the representation of images as an array of pixels and is typically used for the representation of photographic images. Vector graphics consists in encoding information about shapes and colors that comprise the image, which can allow for more flexibility in rendering. There are instances when working with vector tools and formats is best practice, and instances when working with raster tools and formats is best practice. There are times when both formats come together. An understanding of the advantages and limitations of each technology and the relationship between them is most likely to result in efficient and effective use of tools. In digital imaging, a pixel (or picture element  ) is a single point in a raster image. Pixels are placed on a regular 2-dimensional grid, and are often represented using dots or squares. Each pixel is a sample of an original image, where more samples typically provide a more accurate representation of the original. The intensity of each pixel is variable; in color systems, each pixel has typically three components such as red, green, and blue. 3D modeling is the process of developing a mathematical, wireframe representation of any three-dimensional object, called a "3D model", via specialized software. 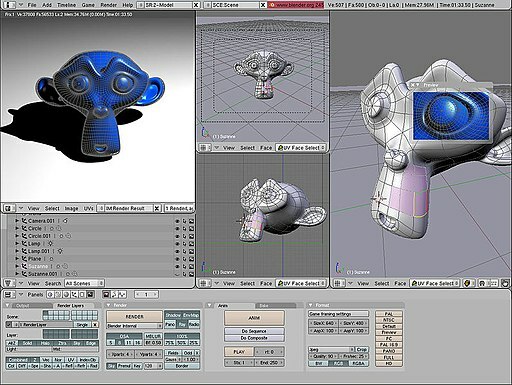 Models may be created automatically or manually; the manual modeling process of preparing geometric data for 3D computer graphics is similar to plastic arts such as sculpting. 3D models may be created using multiple approaches: use of NURBs to generate accurate and smooth surface patches, polygonal mesh modeling (manipulation of faceted geometry), or polygonal mesh subdivision (advanced tessellation of polygons, resulting in smooth surfaces similar to NURB models). 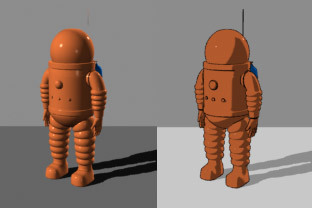 A 3D model can be displayed as a two-dimensional image through a process called 3D rendering , used in a computer simulation of physical phenomena, or animated directly for other purposes. The model can also be physically created using 3D Printing devices. Rendering or image synthesis is the automatic process of generating a photorealistic or non-photorealistic image from a 2D or 3D model by means of computer programs. Also, the results of displaying such a model can be called a render. A scene file contains objects in a strictly defined language or data structure; it would contain geometry, viewpoint, texture, lighting, and shading information as a description of the virtual scene. The data contained in the scene file is then passed to a rendering program to be processed and output to a digital image or raster graphics image file. The term "rendering" may be by analogy with an "artist's rendering" of a scene. Rasterisation is the task of taking an image described in a vector graphics format (shapes) and converting it into a raster image. The rasterised image may then be displayed on a computer display, video display or printer, or stored in a bitmap file format. Rasterisation may refer to either the conversion of models into raster files, or the conversion of 2D rendering primitives such as polygons or line segments into a rasterized format. Texture mapping is a method for defining high frequency detail, surface texture, or color information on a computer-generated graphic or 3D model. Its application to 3D graphics was pioneered by Edwin Catmull in 1974. Scientific visualization is an interdisciplinary branch of science concerned with the visualization of scientific phenomena. It is also considered a subset of computer graphics, a branch of computer science. The purpose of scientific visualization is to graphically illustrate scientific data to enable scientists to understand, illustrate, and glean insight from their data. In computer graphics, a shader is a type of computer program that was originally used for shading but which now performs a variety of specialized functions in various fields of computer graphics special effects or does video post-processing unrelated to shading, or even functions unrelated to graphics at all. Reyes rendering is a computer software architecture used in 3D computer graphics to render photo-realistic images. It was developed in the mid-1980s by Loren Carpenter and Robert L. Cook at Lucasfilm's Computer Graphics Research Group, which is now Pixar. It was first used in 1982 to render images for the Genesis effect sequence in the movie Star Trek II: The Wrath of Khan. 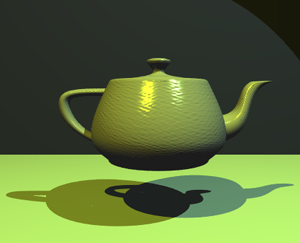 Pixar's RenderMan is one implementation of the Reyes algorithm. According to the original paper describing the algorithm, the Reyes image rendering system is "An architecture ... for fast high-quality rendering of complex images." Reyes was proposed as a collection of algorithms and data processing systems. However, the terms "algorithm" and "architecture" have come to be used synonymously and are used interchangeably in this article. Real-time computer graphics or real-time rendering is the sub-field of computer graphics focused on producing and analyzing images in real time. The term can refer to anything from rendering an application's graphical user interface (GUI) to real-time image analysis, but is most often used in reference to interactive 3D computer graphics, typically using a graphics processing unit (GPU). One example of this concept is a video game that rapidly renders changing 3D environments to produce an illusion of motion. Software rendering is the process of generating an image from a model by means of computer software. In the context of computer graphics rendering, software rendering refers to a rendering process that is not dependent upon graphics hardware ASICs, such as a graphics card. The rendering takes place entirely in the CPU. Rendering everything with the (general-purpose) CPU has the main advantage that it is not restricted to the (limited) capabilities of graphics hardware, but the disadvantage that more semiconductors are needed to obtain the same speed. 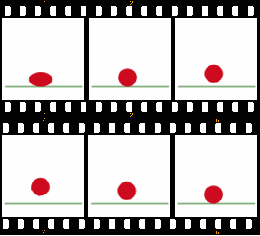 Clipping, in the context of computer graphics, is a method to selectively enable or disable rendering operations within a defined region of interest. Mathematically, clipping can be described using the terminology of constructive geometry. A rendering algorithm only draws pixels in the intersection between the clip region and the scene model. Lines and surfaces outside the view volume are removed. In computer graphics, per-pixel lighting refers to any technique for lighting an image or scene that calculates illumination for each pixel on a rendered image. This is in contrast to other popular methods of lighting such as vertex lighting, which calculates illumination at each vertex of a 3D model and then interpolates the resulting values over the model's faces to calculate the final per-pixel color values. Virtual cinematography is the set of cinematographic techniques performed in a computer graphics environment. This includes a wide variety of subjects like photographing real objects, often with stereo or multi-camera setup, for the purpose of recreating them as three-dimensional objects and algorithms for automated creation of real and simulated camera angles. A variety of computer graphic techniques have been used to display video game content throughout the history of video games. The predominance of individual techniques have evolved over time, primarily due to hardware advances and restrictions such as the processing power of central or graphics processing units. The history of computer animation began as early as the 1940s and 1950s, when people began to experiment with computer graphics - most notably by John Whitney. It was only by the early 1960s when digital computers had become widely established, that new avenues for innovative computer graphics blossomed. Initially, uses were mainly for scientific, engineering and other research purposes, but artistic experimentation began to make its appearance by the mid-1960s. By the mid-1970s, many such efforts were beginning to enter into public media. Much computer graphics at this time involved 2-dimensional imagery, though increasingly, as computer power improved, efforts to achieve 3-dimensional realism became the emphasis. By the late 1980s, photo-realistic 3D was beginning to appear in film movies, and by mid-1990s had developed to the point where 3D animation could be used for entire feature film production. ↑ What is Computer Graphics?, Cornell University Program of Computer Graphics. Last updated 04/15/98. Accessed November 17, 2009. ↑ Information Processing Society of Japan. "LINKS-1 Computer Graphics System-Computer Museum" . Retrieved 15 June 2015. ↑ "System 16 - Namco System 21 Hardware (Namco)" . Retrieved 15 June 2015. ↑ "System 16 - Taito Air System Hardware (Taito)" . Retrieved 15 June 2015. ↑ "Virtua Racing – Arcade (1992)". 15 Most Influential Games of All Time. GameSpot. 14 March 2001. Archived from the original on 2010-04-12. Retrieved 19 January 2014. ↑ Cinema: A Painstaking Fantasy Chris Taylor, Time, 31 July 2000 (retrieved 8 August 2012). ↑ Final Fantasy: The Spirits Within at Box Office Mojo (retrieved 12 August 2012). ↑ The uncanny valley is a hypothesis in the field of robotics and 3D computer animation, which holds that when human replicas look and act almost, but not perfectly, like actual human beings, it causes a response of revulsion among human observers. The concept "valley" refers to the dip in a graph of the comfort level of humans as a function of a robot's human likeness. ↑ Greenberg, Ira (2007). Processing: Creative Coding and Computational Art. Apress. ISBN 1-59059-617-X. ↑ Rudolf F. Graf (1999). Modern Dictionary of Electronics. Oxford: Newnes. p. 569. ISBN 0-7506-4331-5. James D. Foley, Andries Van Dam, Steven K. Feiner and John F. Hughes (1995). Computer Graphics: Principles and Practice . Addison-Wesley. Wikimedia Commons has media related to Computer graphics .